Kronikgune is an international excellence research centre specialized on chronicity. It entrusts institutional representation on international projects and actions aimed at developing products and services and their deployment for the whole Basque population (2,3M inhabitants). The aim of this research centre is to enable innovative practices and the structured generation of scientific evidence regarding chronicity and health services sustainability. KRONIKGUNE is constituted by more than 300 researchers that belong to the Basque Public Health Service (Osakidetza) grouped into 31 research groups. These research groups follow a scientific research program which is clustered into 6 interconnected areas: population focus, health promotion and disease prevention, patient autonomy, continuity of care, adapted interventions and research on results. Kronikgune is working in Pre-start project with Osakidetza and the department of Public Health in Guipuzkoa. Three integrated services organization (OSIs) of Osakidetza are involved in the project: Donostialdea, Bidasoa and Tolosaldea. Dr. Esteban de Manuel Keenoy, MD University of Navarra, holds a Master degree in Community Health, University of London and a Specialist degree in Family Medicine, Autonomous University of Madrid. He has been Regional Director in Andalucía (Spain) of Primary Health Care and Health Promotion and later, Academic Director of the Andalucian School of Public Health. From 2003, he was CEO of the Institute of Health Sciences of Aragón (Spain), and responsible for health R&D and knowledge management. Since July 2011 he has been in charge of KRONIKGUNE, the Basque Centre for Health Services Research and Chronicity set up by the Basque Government within the R&D strategy to study ageing, chronic diseases and healthy living. He has been involved in national and international projects advising on public health and health systems development. His main expertise is on strategic management, human resources development and knowledge management in health services and research. Ms. Joana Mora Amengual, Pharmaceutical by University of Barcelona, she holds a Master’s degree in Integrated Care Health Management at Esade Business School (Barcelona) and a Master in Pharmaceuticals Company Management at University of Barcelona. From 2011 , she has been a Project Manager in KRONIKGUNE. She has been involved in the system wide reform towards integrated care, focused specifically in defining the new funding and commissioning model in the Basque Country and bottom-up innovation. Sara Ponce Márquez holds a PhD in Pharmacy at the University of the Basque Country and Master degree in Innovation and Technology management at the Faculty of Humanities of the University of Deusto. She has worked as researcher in national (University of Basque Country, Inasmet-Tecnalia), and international research centers (Groningen University, Johns Hopkins University). She worked as project manager in Kronikgune. Irati Erreguerena Redondo holds a degree in Journalism at the Basque Country University and is trained as Documentalist at the University of Barcelona. She has been working as Marketing Manager in an audiovisual business from 2008 until June 2014. In November 2014 she joined to Kronikgune as information manager, where helps to disseminate the information and activities of each project and develops communication contents. Itziar Vergara Micheltorena holds a degree in medicine and a specialist in family medicine. She furthered his studies with a degree in epidemiology from the University Victor Segalen of Bordeaux and a Masters in Public Health from the University of California, Berkeley. She is currently developing her doctoral thesis at the University of the Basque Country on the impact of accidental falls in the health of older people. After a period of clinical activity as a family doctor in Osakidetza, she went to work in the Basque Foundation for Health Innovation and Research in managerial and methodological support. 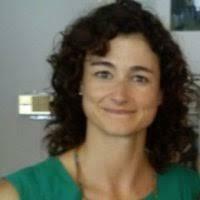 Since its inception in September 2011, Itziar is responsible for Care Research Unit Primaria- OSIS Gipuzkoa. She is a member of the Network Services Research and chronicity (REDISSEC) and coordinator of the Research Group on Active and Healthy Ageing Research Center Kronikgune. Furthermore, she is a member of the research group on computational bio-medicine and Health Research Institute of Biology, Biodonostia. She is principal researcher and collaborator of several research projects funded in the regional and state level, all of them related to ageing. She is the author of articles and communications related to the functional assessment of elderly subjects and the use of health services for these population group conferences. 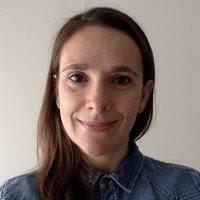 Dr. Elena Alustiza Martínez, from Primary care Center Egia, San Sebastian, pediatrician, is a specialist in the prevention and treatment of obesity in children and a member of the Children’s Section of Endocrinology of Spanish Association of Pediatrics (SEEP). Dr. Alustiza is the coordinator of the Group of Evidence based Pediatrics from the Basque Asociation of Primary Care Pediatrics. The objectives of this group are to share clinical interest questions containing information about patient’s problems, intervention comparisons and outcomes from the interventions. They aim at forming groups in different regions of the Basque Country to share CATs (Critically Appraised Topic) on Evidence based pediatric Medicine. They are working on creating a course of Evidence based Medicine for pediatritians of primary care. 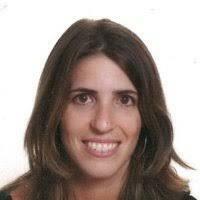 She is currently in Children Hospital, New Orleans,(Lousiana), with a grant from the SEEP (Spanish Society for Paediatric Endocrinology) as an observer for plans and strategies in the US related to public Health, Primary care and specialized care for the management of obesity in children. Visitacion Laiz Castro, graduated in medicine at the University of the Basque Country in 1982 and specialist in Preventive Medicine and Public Health. 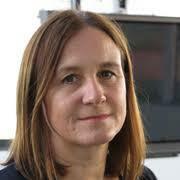 She has developed her work in the area of public health, particularly in epidemiology. She is currently responsible for Epidemiology and Health Promotion in the Division of Public Health and Addictions of Gipuzkoa. Arantxa Uranga Fraiz holds a Nursing Degree and Master degree in Public Health. She is working in the Unit for the Promotion of Health in the Deparmet of Public Health of Gipuzkoa, on issues related to the promotion of physical activity and healthy eating. She has also worked as primary care nurse. Irene Ozcoidi Erro holds a degree in medicine at the University of Navarra in 1982 and pediatrician in 1986. She has developed her work as pediatrician in Osakidetza. She has participated as researcher in several research projects and she is the secretary of the Basque Country section of the Spanish Association of Pediatrics of primary care. Ane Fullaondo, obtained MD in Biology at the Autonomous University of Madrid (2005) and PhD in Genetics and Molecular Biology at the University of the Basque Country (2009). Currently, she obtained a Masters in research methods and evaluation of health services health economics of the National Distance Education University (UNED). In 2015 she obtained the LEAD – The certificate of Specialization in Leadership and Transformation in Organizations and Health Systems from Deusto Business School. Since the end of 2012, she has been a researcher in KRONIKGUNE and from November 2015 until now, she has been coordinator of research projects in KRONIKGUNE. Olatz Albaina, holds a degree in pharmacy, a PhD in Pharmacy at the University of the Basque Country, a Bachelor degree in Science and Food Technology at the University of the Basque Country and a Master degree in Parasitology, Microbiology and Immunology at the University of the Basque Country. She has worked as researcher in Biosasun, and as R&D project consultant in Adigest. She joined KRONIKGUNE in November 2015 working as researcher and project manager of European projects.